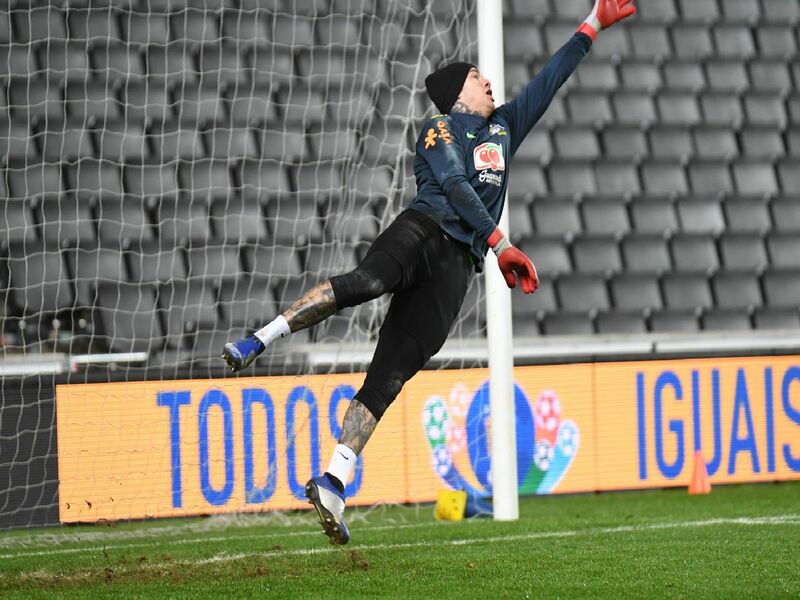 Members of the Brazil squad trained at Stadium MK on Sunday evening ahead of their game against Cameroon this Tuesday. More than 23,000 tickets have been sold for the game, though the world's most expensive footballer, Neymar, did not take part in the session, having played against Uruguay on Thursday. He is expected back in training tomorrow ahead of kick off on Tuesday.